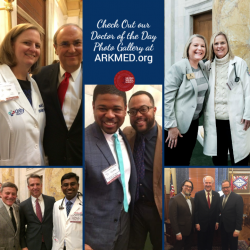 ARKMED.org now features a new photo gallery feature, and you can view it here. We’ll be adding to it in the coming months, so be sure to check back to see the latest photos. Do you see your picture and would like it emailed to you? Contact Membership/Communications Specialist Laura Haywood and let her know!